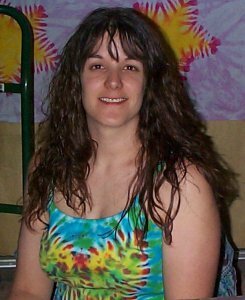 I love to tie dye! 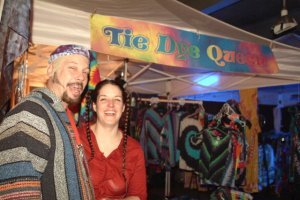 I have been dyeing shirts & stuff for around 20 years. But I really started getting into it with my friend Chopper in 1986, (or maybe it was '87?) when he turned me on to Procion Mx Dyes (before that, i used RIT dyes with my friends Doug & Ross in my Mom's kitchen!). Our friend Elise showed me how to do a heart, and then I could figure out how to make almost anything! 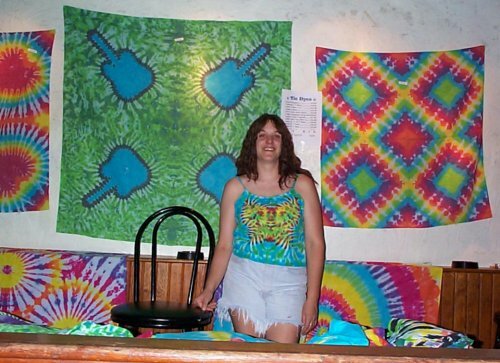 In 1987, my dear friend Nick Kopcha wrote a song about me called Tie Dye Queen. That's where the name comes from. 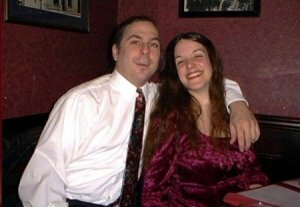 On December 31st, 2001, I was a at a Schwag show at The Blue Note ; just jammin' to the groovy vibe as usual, standing by the water cooler (it was a really HOT show!) . Up walks this guy,(Chuck) I'd seen him around for years, but never knew his name... 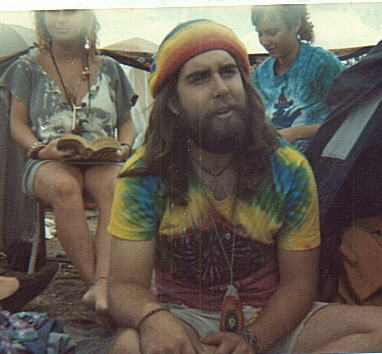 I walked up to him and said "You tie dye, don't you? We should be friends" So I gave him my card. A few days later, he emailed me... he came by a couple of times and did some dyeing with me. We became great friends very quickly! Well, Chuck and I were married September 20th, at Schwagstock 20, in Leesburg, Missouri! My Mom has some wedding photos up here! I am one of the luckiest people I know... Some people don't find real, true, SOULMATE love even once in their lives, but I've found it AGAIN! I am eternally grateful! I am at Mississippi Nights, a club in Saint Louis Missouri. I am there to see my friends, Blue Dixie! 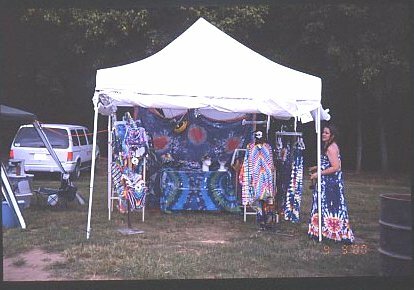 This is from the September, 1999 Twilight festival, Downtown Columbia! This is from Schwagstock 8, September, 2000! It's from a slide that my Mom took! 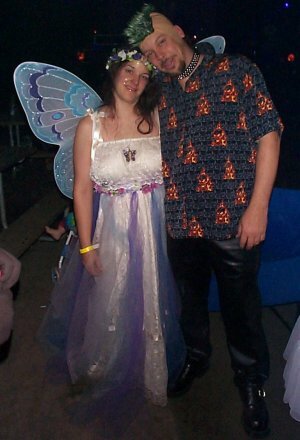 Here is my little family at Schwagstock 11, September 2001! Robert made his shirt himself! 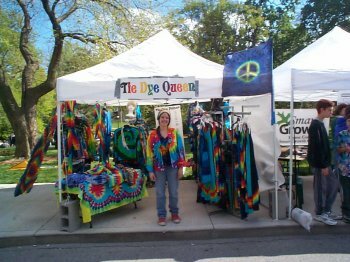 This is my Earthday booth in downtown Columbia, April, 2002! 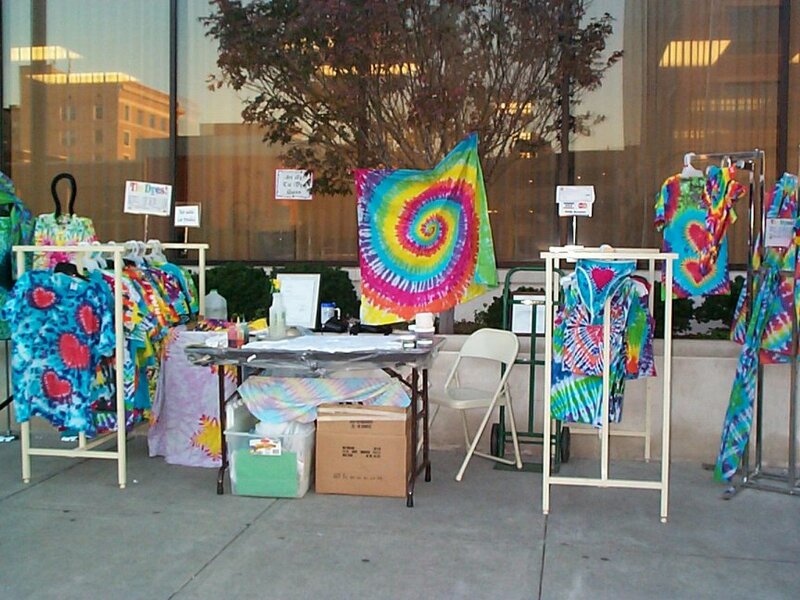 I also offer classes on How to tie dye! So now you can learn some of my secrets!